Attention all wizards, witches and muggles! Join us at the L.E. 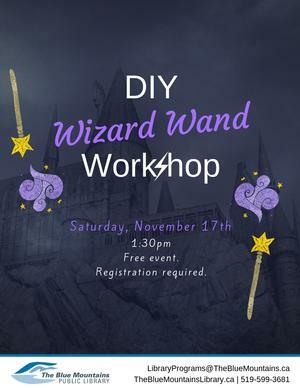 Shore Library Saturday November 17th at 1:30 pm for our Magic Wand workshop.